Time-limited Sales! Great Chance to Get More Necklaces! Dear players, a wave of Crazy Time-limited Sales for Torches is coming tonigt starting at 8 pm Aug 20. 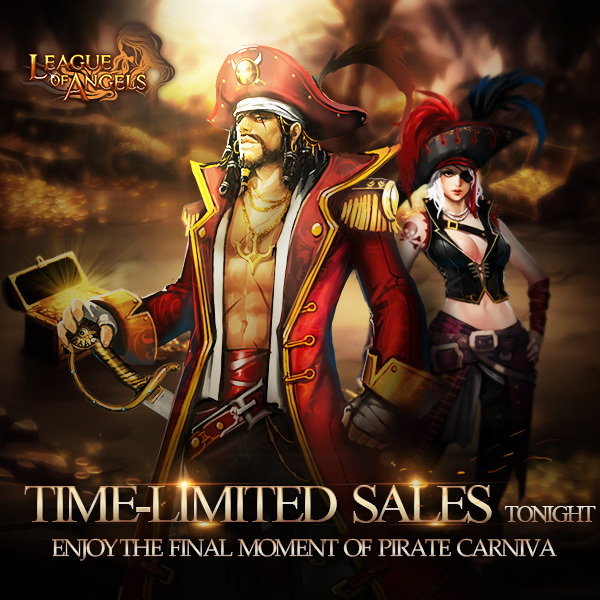 Let\'s enjoy the Final moment of Priate Carnival! Seize the last chance to get more Necklaces! Decription: Consume required items to get Pirate Torch.Great chance to get more Necklaces! I used all of my torch couple of minutes ago.. Will I be eligible for those spending reward?? whatif, can you please tell them to fix Pandora Mail? there are many threads and reports have been made but still, nothing has been done yet to fix it. It\'s broken still. It doesn\'t work to lot of us. Kinda fix this asap. I know this is the wrong section, but I\'ve made some reports and threads but it seems like no mods really care about it. 2019-4-21 12:56 GMT+8 , Processed in 0.065087 second(s), 52 queries .